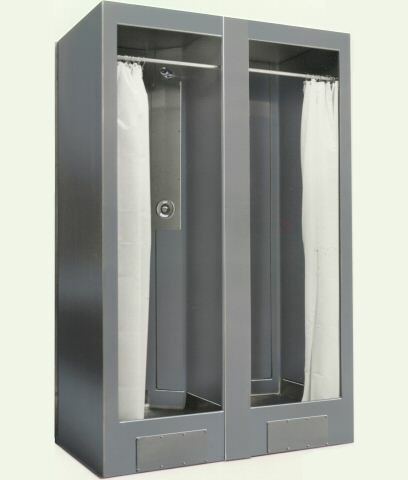 Shower cubicles are manufactured from 304 grade stainless steel and are delivered in bolt together sections for easy site access, the standard cubicle is 800mm wide x 825mm deep x 2203mm high and is designed for fitting between 2 side walls, it is supplied with a clear polycarbonate roof panel, soap dish, curtain and waste fitting. 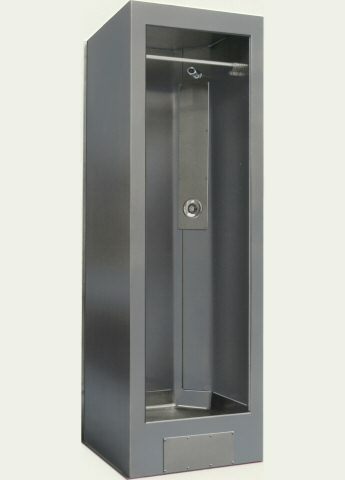 Optional extras are one or two exposed side panels (for situations with no side wall to one or both sides), and/or a thermostatic shower valve with fixed shower head. 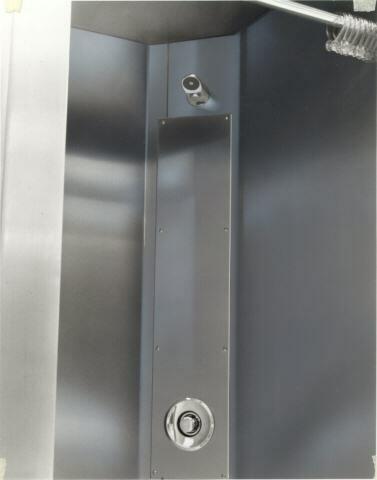 Special sizes and configurations are also available, also cover strips to join multiple cubicles.